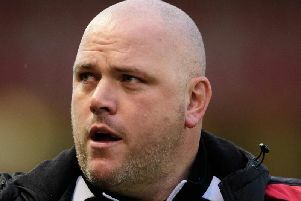 The clock is ticking until the end of the January transfer window and Morecambe boss Jim Bentley is aiming to bring in one more player today. The Shrimps have already loaned Piero Mingoia from Accrington Stanley until the end of the season. He became their fourth arrival of the month, following Richie Bennett, Ritchie Sutton and Paul McKay to the Globe Arena. Bentley was already on the lookout for a striker; a search that became more pressing with the news that knee damage has now ruled out Vadaine Oliver for eight weeks. Watch as Bentley provided an update on his deadline day dealings ahead of the window closing.